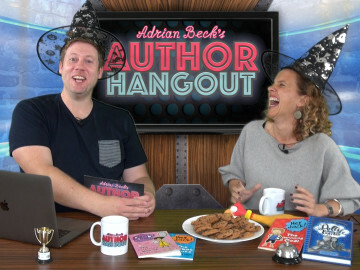 On my final episode of ‘Author Hangout’ for the season, I’m joined by ‘Specky Magee’ and ‘The Boy and the Spy’ author, Felice Arena! Felice reveals his theatrical past, explains how he uses music when writing and completes a particularly unusual French challenge (which gets a little Star Wars-y). Ooh la la! In the second last episode of ‘Author Hangout’ season one, I have an absolute ball with the highest selling female author in Australia, Sally Rippin! Sally shares her writing tips and she shows how to draw Buster from her hit ‘Polly and Buster’ series. Plus, Sally also does a rather impressive monster impersonation! Enjoy! 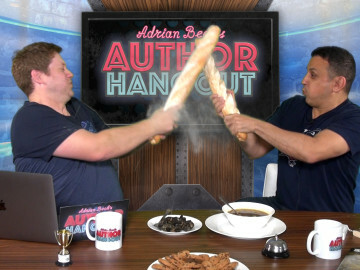 On this week’s Author Hangout episode I’m joined by Tim Harris. An ex-teacher, Tim is the man behind the hilarious ‘Exploding Endings’ and ‘Mr Bambuckles Remarkables’. 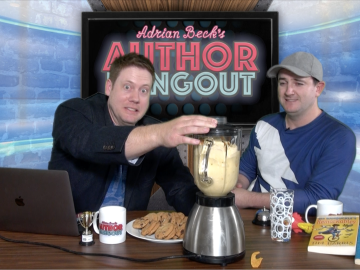 He shares his writing tips, reveals how much time he spends napping and is challenged to drink a SUPER GROSS smoothie! Lots of fun!